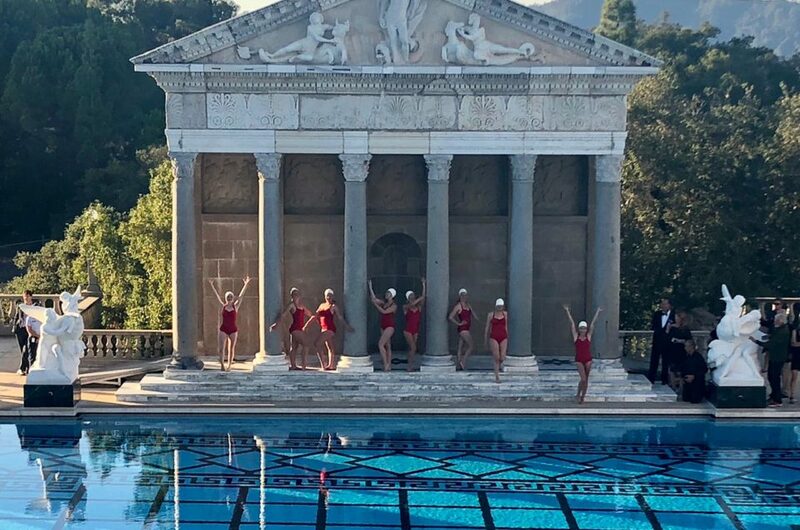 Aquabatix jumped at the chance to perform for an American multinational technology company’s week long event in Cannes on the glamorous Cote D’Azur. 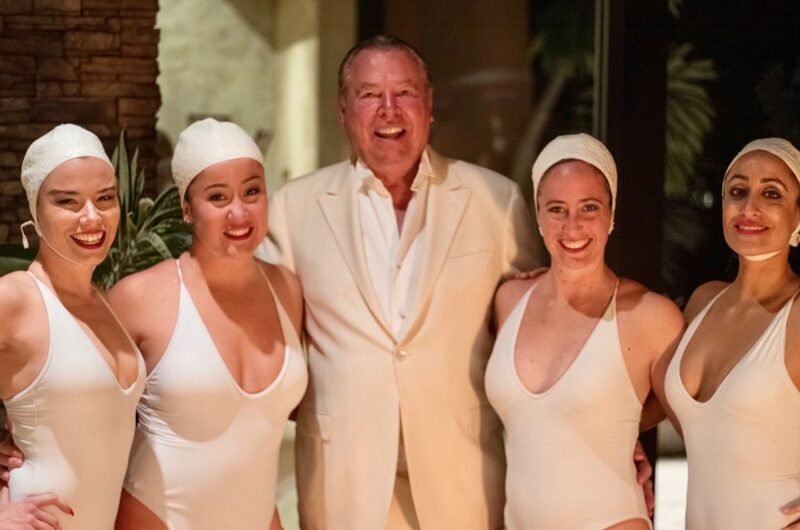 The event took place at the Palm Beach Casino which sits a beautiful pool nestled in the sands of the Mediterranean beach where the guests could watch from a high balcony. 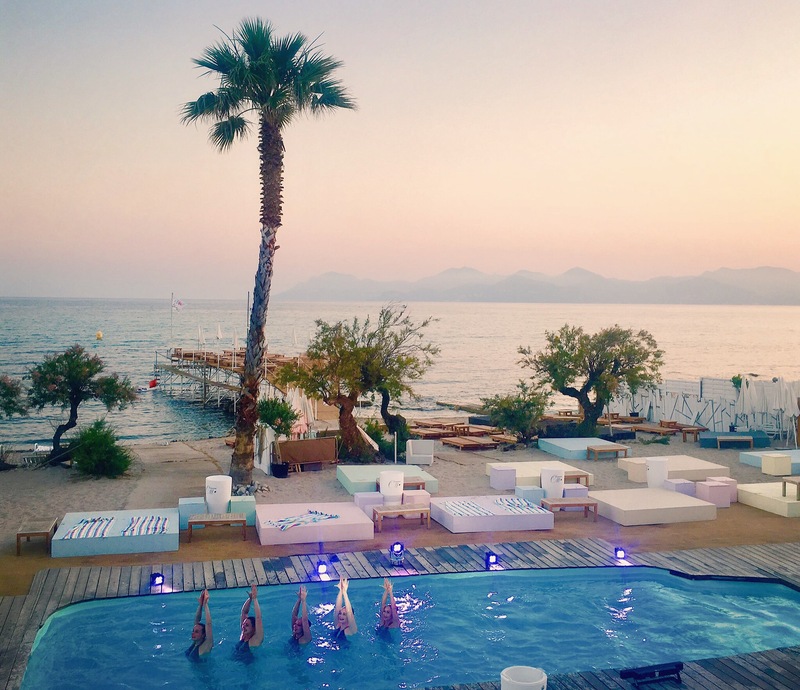 With the sea, hills and sunset as the backdrop, Aquabatix took to the water and performed two bespoke routines, each choreographed to a French themed track to fit in perfectly with the retro Cannes theme. The guests. most whom have never seen synchronised swimming live before, clapped and cheered in delight at the synchronised swimmers with their acrobatic somersaults, graceful moves and captivating formations in the water.